The 19th Session’s Lecture Videos are now uploaded on our Youtube Channel for all fellow seekers. For all friends who for some reason were not able to experience the Divinity in our Short Term Guru Granth Sahib Study Course with their physical presence, we have now uploaded most of the full length Lecture Videos of our last 19th Session at our You Tube Channel for your convenience. 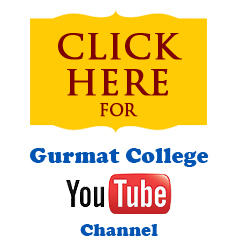 Please visit our You Tube Channel or click on the following link to see all the videos.